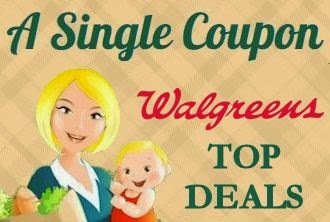 Another great week of deals at Walgreens! Check out the Points Booster MoneyMaker we're come up with! Get 5,000 Balance Rewards Points wyb $30 or more. Remember, don't redeem Balance Rewards Points on your Points Booster transaction or you won't earn Balance Rewards Points. FINAL PRICE: FREE + $1.59 MONEYMAKER! Final Price: FREE + $0.01 MONEYMAKER! FREE After MIR Gift Card ($15) wyb $50 of P&G CoverGirl, Pantene, Olay, Secret, Ivory, Aussie, Clairol, Safeguard, Herbal Essences Hair & Body Wash, Olay Body, Head & Shoulders or Vidal Sassoon Color Products , exp 4/30/15 (Mail-in Rebate) Rebate applies to the price paid after any coupon or discount has been applied.